LOS ANGELES—Revealing for the first time how everything went pretty much according to plan, Cameron Diaz finally opened up in a wide-ranging interview Monday about her more or less positive show business experience. “After more than two decades in Hollywood, it’s good to get this off my chest: my life as an actress has basically progressed the way I always hoped it would, with a steady stream of roles that have fulfilled me both creatively and professionally,” said Diaz, who reportedly decided that the time had come to speak candidly about the close relationships with friends and family that sustain her when she’s not jetting around the world to shoot roles in blockbuster films that will pay her millions. 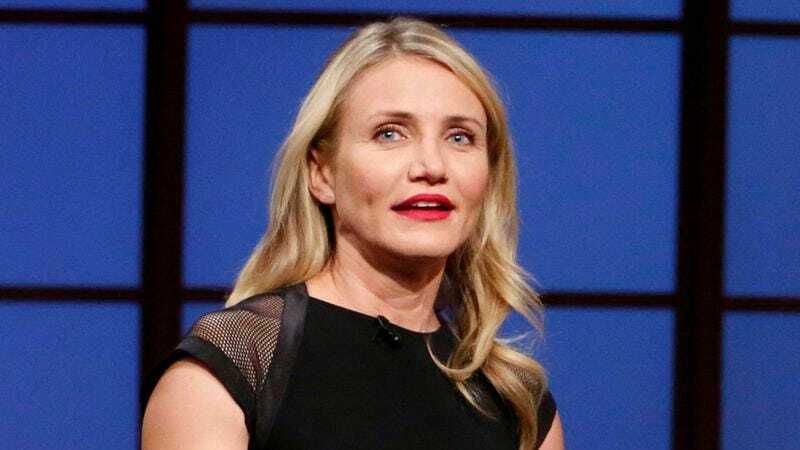 “Sure, there’s the public Cameron Diaz who seems so happy—and very much is—but then there’s the off-camera Cameron Diaz, the grounded one with enough perspective to make time for numerous other hobbies and interests apart from the entertainment industry. It’s been a smooth ride pretty much from day one, so I’m hoping people can benefit from my story and make the exact same decisions I did.” Diaz went on to say that even under the same highly agreeable circumstances, she would definitely do it all again.